And now for something new..
Those who have attended some of our events, especially our discussion sessions, training days and conferences understand that networking with horticultural colleagues, talking to garden managers and a chance to look behind the scenes and compare notes is valuable. These garden tours provide the opportunity to do just that and are hosted by experienced garden managers willing to share their experience and their gardens with us all. For 2016 we can now launch our PlantNetwork garden tours . Four gardens and their managers have very kindly offered to open their gardens, behind the scenes and experiences with us all. Ask questions, solve problems, see how others manage their gardens with fellow horticulturists. Even better they are doing this in order to meet you all and raise funds for PlantNetwork. Online booking will be £10, all of which will go towards PlantNetwork. In return you have free access to a garden with other PlantNetwork members for a personal tour. Trentham gardens and estate are one of the CB300 Urban sites. Landscape restoration is in progress including removal of all the commercial stands of coniferous forestry, some woodland and Rhododendron ponticum clearance. 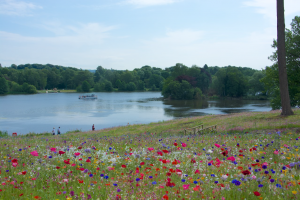 Much of the estate is now in Higher Level Stewardship and Trentham is working with Staffordshire Wildlife Trust to better connect the estate to its wildlife and environment. 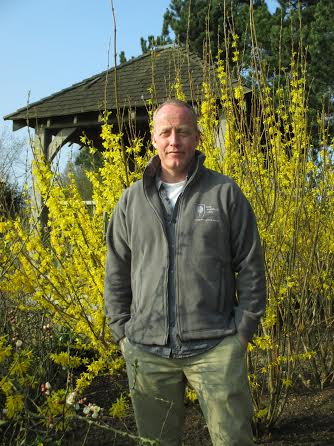 Of particular interest are the development of new annual and perennial meadows with Nigel Dunnett. These involve the planting of 20,000m2 of annual meadow and 44,000 perennials during 2016 with similar schemes planned each year over the coming three or four years. Nigel describes this as the largest series of meadow plantings in the country. Online booking is now closed for this meeting.